If anyone loves slurping down fresh green juices on the daily, it’s me. In a perfect world, I’d have a limitless supply of fresh juice and green smoothies continually showing up in my fridge like a Christmas miracle. I literally feel more alive when I start my day with a green juice on an empty stomach. Something about all of the nutrients and nourishment hitting my cells hard really does it for me. Yerp. So when I was told about the book, The Juice Truck, and how it’s packed with all the fabulous-ness you need to start juicing, and smoothie-ing (oh and also why eating more plants is beyond incredible for you – obvi), I was like OK get me a dang copy and let’s dive in. I don’t want to share alllll the spoilers with you in this book, but I do want to highlight some of my favorite parts because I just think it’s educational as heck and that’s what y’all like to do (learn about cool stuff) when you come to visit me on here, right? Right. So here are my favorite tid-bits from the book (which if you want you can grab a copy of the book here!) and if you make it to the end, I also re-created one of their recipes and now I’m hooked. Here are my favorite words of wisdom from the Juice Truck Book! Store vitamin powders, coconut waters, soaked seeds and nuts in your fridge door where items don’t need to be extremely cold. Keep leftover dips and sprouts on the top shelf so that when you open the fridge, you eat those first. Keep salad toppings, fermented veggies and savory ingredients in the middle shelf. Loose greens and herbs should be on the bottom shelf, and leafy greens and colored veggies should be in the bottom drawers, also called the crispers – since they are humidity controlled. If you’ve never juiced before, here are some ingredients that the authors recommend to help you get started. All you need is a juicer and blender and bottles for storage. So get your shopping list ready! Literally this book is like the juicing bible. It gives you all the tools you need to start juicing and creating delicious smoothies. There are also a bunch of blending and juicing tips and tricks that will save you so much time (and mess). 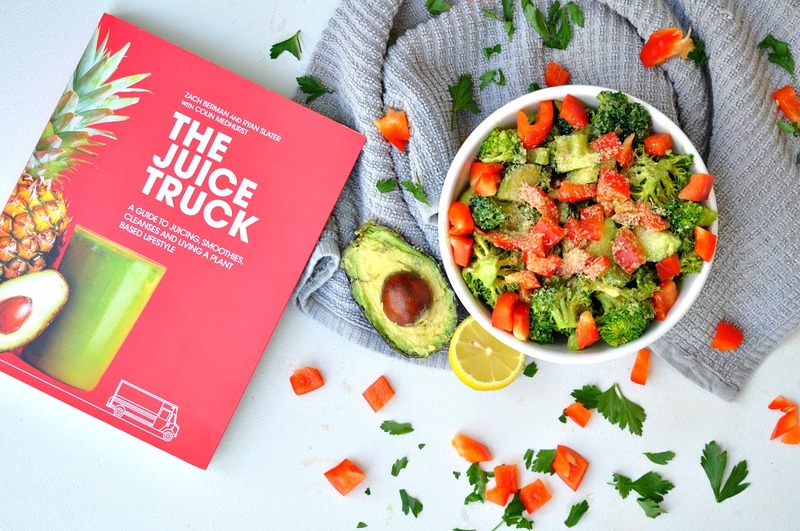 Along with a complete meal plan with list of foods to enjoy and foods to reduce, The Juice Truck also includes best practices to help you feel your best during the cleanse, and even some reactions to cleansing that you may not be aware of. There’s also a list of superfoods and their benefits, and how you can also incorporate these into your smoothies. Now on to the recipe! 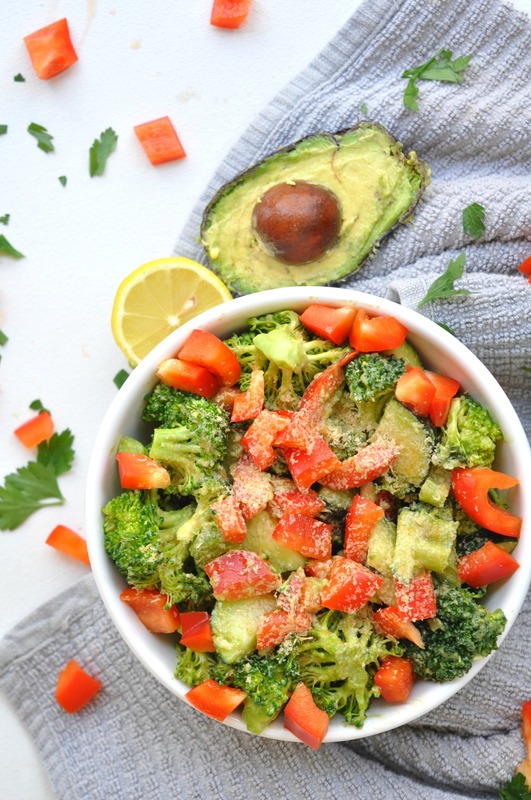 I decided to make their Broccoli Avo Crunch Salad, here it is! 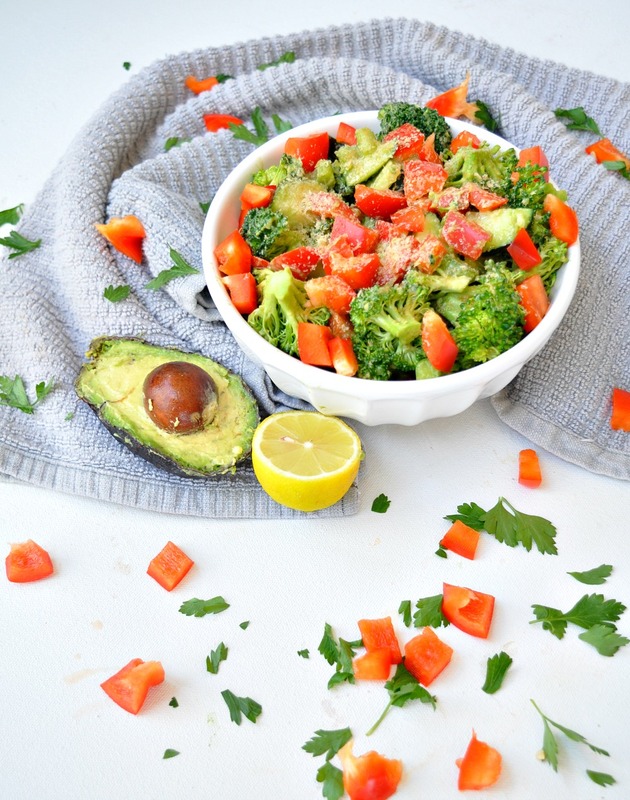 For the dressing, peel the avocado and mash until creamy. Stir in sea salt, lemon juice, and garlic until combined, and set aside. For the salad, mix together all of the ingredients except the sunflower seeds in a large serving bowl. Pour the dressing over top and give the salad a good stir to coat the veggies in dressing. Top with sunflower seeds and serve. Disclaimer: This article is in partnership with The Juice Truck. All opinions, and creative direction are my own. VIDEO: These SuperFoods May Not Be So Super!